Available in English & Hindi languges. 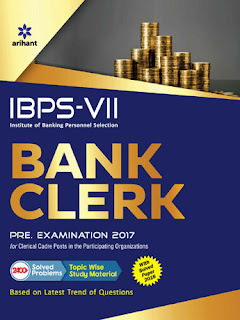 Institute of Banking Personnel Selection (IBPS) conducts Bank Clerk Pre Examination to recruit personnel’s for Clerical Cadre Posts in the Participating Organizations of Banking Industry. 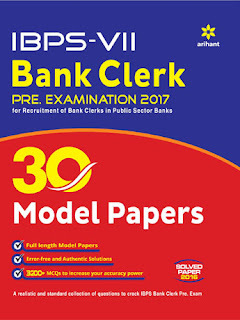 IBPS-VII Bank Clerk is designed with topic-wise Study Material keeping in mind the needs of the students taking the exam. 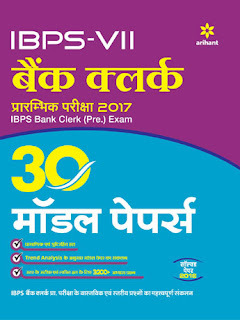 The book is divided into three sections to comprehensively cover the complete syllabus of the exam as per the IBPS guidelines. 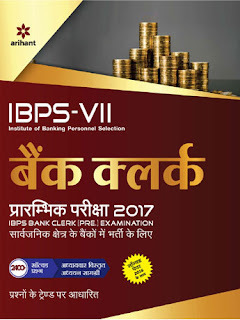 The book is equipped with authentic solutions to cover 2400+questions for in-depth understanding of problems based on Latest Trend of Questions. Also, the book includes Previous Years’ (2016) Solved Paper to give an insight into the format in which questions are asked in the exam.